As the name suggests, income protection is the best way to protect your current income if you are unable to work due to illness or injury. This type of policy pays up to 75% of your gross annual income, in monthly payments, to cover your living expenses. Income protection has waiting and benefit periods. 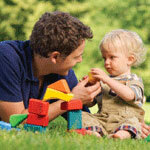 a family that you would like to ensure are financially protected if you were unable to work. If you fit the bill, consider the facts below. There are more than 2 million working age Australians with a disability. In 2008, over 140,000 Australians were seriously injured at work. 690,000 Australians were injured at work in 2005-06, with 43% receiving no form of financial assistance. For a free financial check up, make an appointment with one of our Financial Advisers here at Oculus Group Gold Coast Accountants.